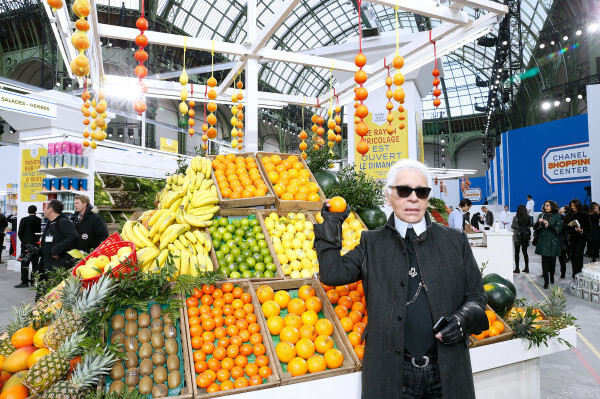 Karl Lagerfeld turns Grand Palais into giant supermarket to debut Chanel’s Autumn/Winter 2014 collection. 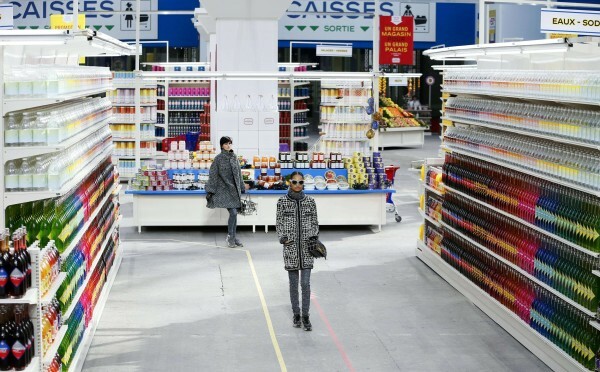 The unusual catwalk show is part of Paris Fashion Week 2014, and featured Lagerfeld’s muse Cara Delevigne. Princess Sirivannavari of Thailand browsed breakfast cereals in a tiara; Keira Knightley lingered by the cheese counter; Rihanna looked glamorous over by biscuits and cakes. 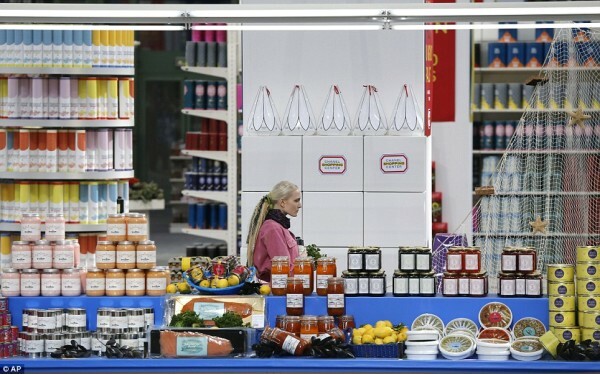 Guests trailed the aisles in amazement: condiments, pastas, oils and vinegars, cheeses and charcuterie, brooms and dusters, buckets and mops.